In My Mailbox is a lovely meme for book voyeurs hosted by The Story Siren. This is my first IMM of 2012 and I actually do have quite a few books that need to be shown – but due to the nature of, well, my life, I only have one photo! They rest of my books are off in countries where I am currently not. Oliver Twisted by J. D. Sharpe – Please sir, I want some Goooore. Hehe! Sounds adorably disturbing. Pandemonium by Lauren Oliver – Eep! Can’t wait to read this one. Advent by James Treadwell – I had not heard a thing about this book before I received it for review… but it sounds bloody brilliant. It comes out February 2nd, so I am going to have to get to it soon! Eona by Alison Goodman – I haven’t actually read Eon yet, nor do I even own it. 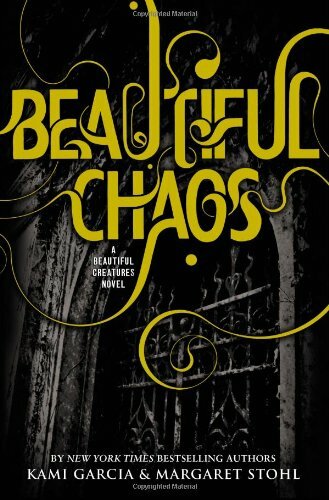 But I have heard so many fantastic things about this duology that I am convinced I will enjoy them both. 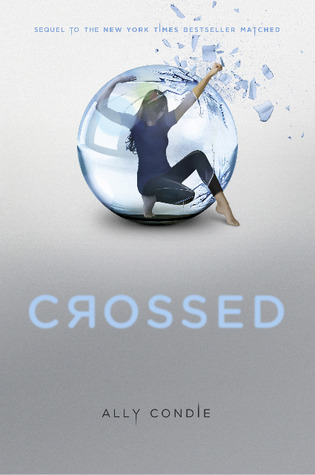 Crossed by Ally Condie – So glad I’ve started this series as it really is rather good! Revolution by Jennifer Donnelly – I had already purchased the hardcover of this book, but I do ever so like the paperback as well! 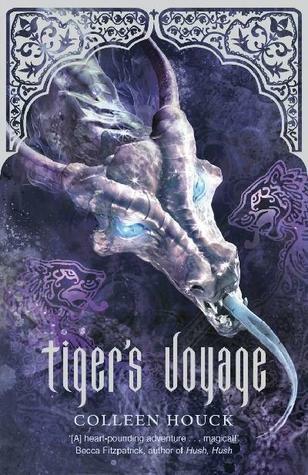 Tiger’s Voyage by Colleen Houck – I am not a fan of this series so will likely be giving it away. 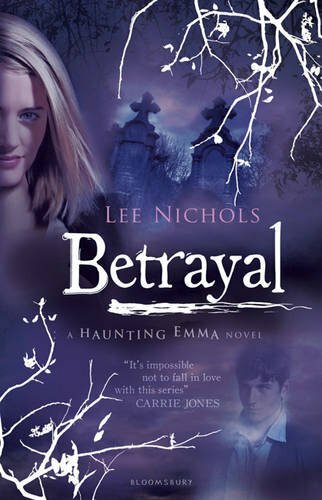 Betrayal by Lee Nichols – Just realised that this is the second book in a series… huh. 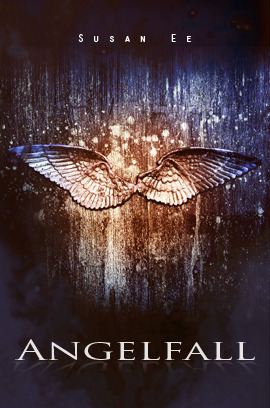 Angelfall by Susan Ee – Alert the media: this is a self-published novel that I purchased on my own volition. I am stunned by myself – but I read fantastic reviews of this book and am convinced that it will be brilliant. 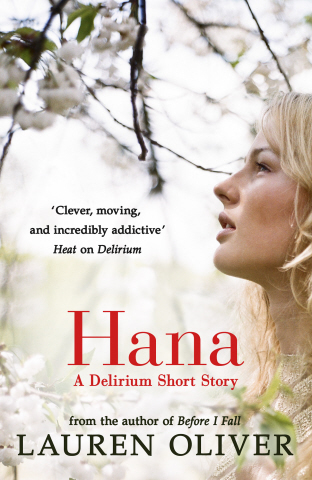 Hana by Lauren Oliver – This Delirium novella had be quite excited when I first heard about it… but then I read quite a few disappointing reviews for it. Oh well. 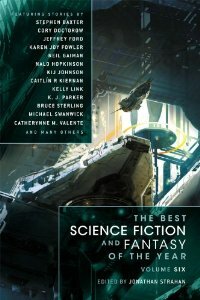 A subscription to Lightspeed Magazine – I had been reading the free Lightspeed stories online, but decided that I should just go ahead and subscribe to the Kindle version of the magazine… especially now that it contains both Fantasy and Lightspeed stories. It’s a fantastic mag, and if you want to read some unexpected, unusual stories I would highly recommend it! 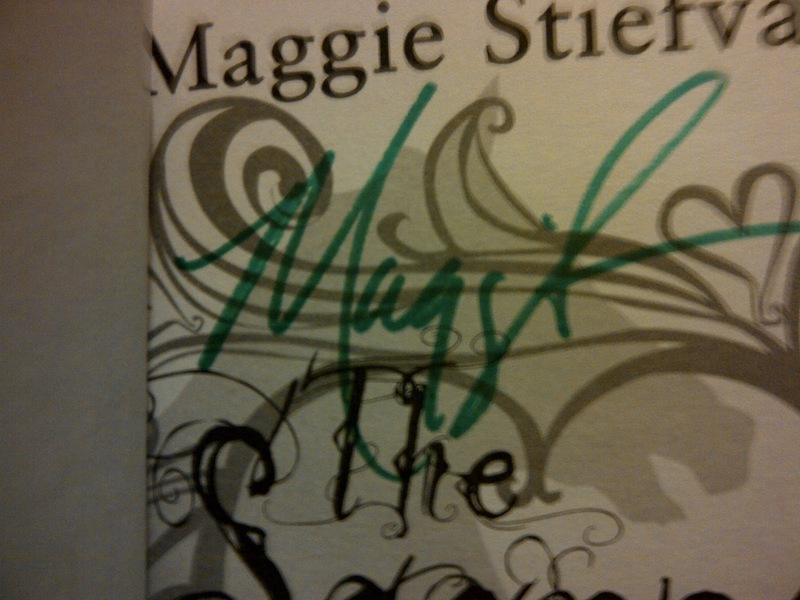 The Scorpio Races by Maggie Stiefvater – SQUEE! I was so epically disappointed when Maggie did her first UK tour while I was not there…. but luckily, Foyles saved me a signed copy. Because they are awesome like that. *wipes brow* I’m pretty sure that’s it – when you put off posting your IMM posts for a month, things start to pile up! In My Mailbox is hosted by Kristi at The Story Siren (inspired by Alea of Pop Culture Junkie) and indulges bookish voyeurism by letting bloggers show off what books they’ve gotten in their mailbox. Rip Tide by Kat Falls – Rip Tide!!! 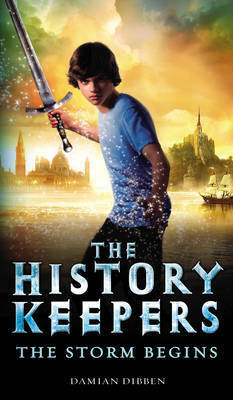 I am so sad that this is the second-and-last book in the series, but I can’t wait to read it! The Loop by Nicholas Evans – This one has wolves in it! In case I haven’t mentioned it, I am a die-hard wolf fan. I wrote my Masters dissertation on wolves. Wolves and I? We go way back. Startide Rising by David Brin – I know this cover seems rather ridiculous, but I had to buy it. You see, this lovely man pointed at the book while I was going through the SF box at the second hand book sale and said “it’s brilliant”. He was so genuine as he started talking about 1980s feminism in science fiction, I knew I had to give the book a shot. Ridiculous cover or not! And then… there’s my new KINDLE! Isn’t it just gorgeous?! I waited so long to get an e-book reader but now I am so glad that I have one (read my entire post about why I finally gave in). I think I will do a review of the product (it’s a Kindle Keyboard, btw) once the novelty has worn off. 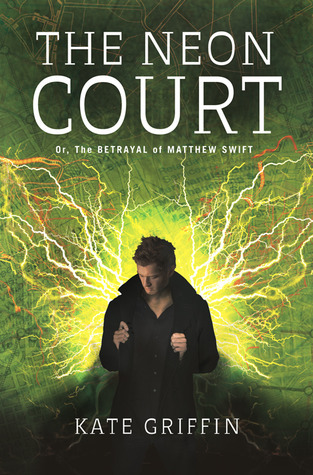 Oh, and the lovely Kindle cover you see? That is the lovely New Yorker cover by M-Edge. I found mine new on Ebay (international shipping on the site was a bit complicated) and it is worth every cent. It’s absolutely gorgeous and seems pretty sturdy! And what is on my Kindle, you ask? Well, other than a bunch of Law textbooks, I have taken advantage of Netgalley’s send-to-your-Kindle capability (which is brilliant, btw). I also bought the lovely collection of Darkest Powers Bonus Pack by Kelley Armstrong – a must for fans of the verse! 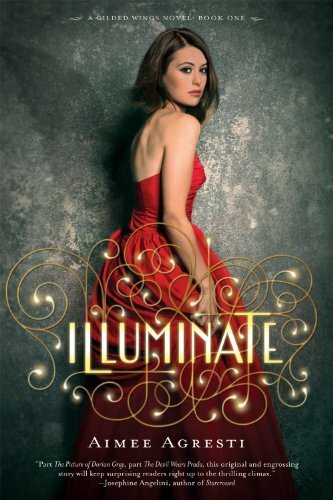 Illuminate by Aimee Agresti (for review) – I have been looking forward to this one for an age-and-a-half. 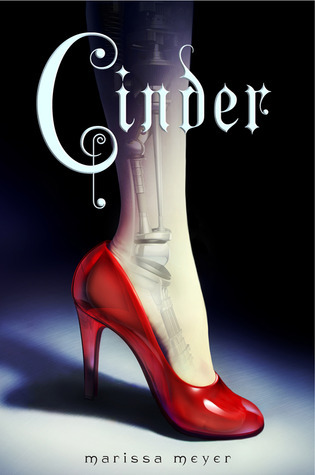 Cinder by Marissa Meyer (for review) – Apparently this is a-mazing. 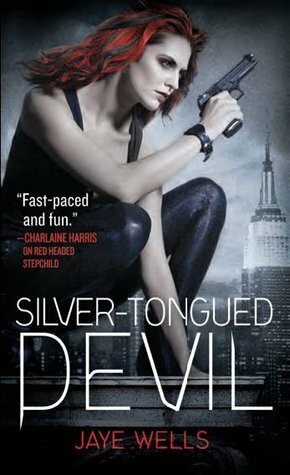 Silver-Tongued Devil by Jaye Wells (for review) – Whoot! Jaye Wells! God, I love this series. I got some lovely lovely books this week – but I am actually still waiting for a few (one of which I am very excited about, but I’ll share that for another time!). 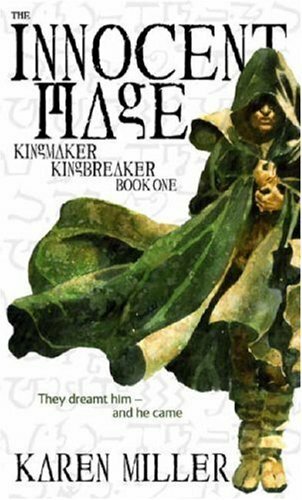 Innocent Mage by Karen Miller – I know nothing at all about Karen’s books, but I know she is supposed to be a great author. I am looking forward to trying her out. 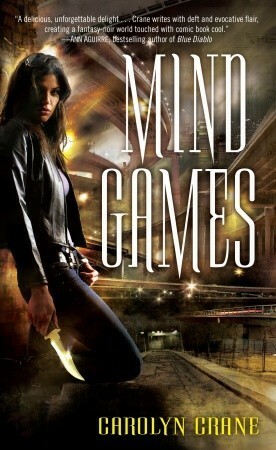 Mind Games by Carolyn Crane – This blogger-turned-author has been on my wishlist for ages. Can’t wait to start this one! 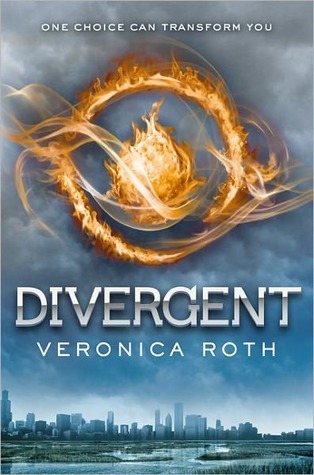 Divergent by Veronica Roth – I know, finally! 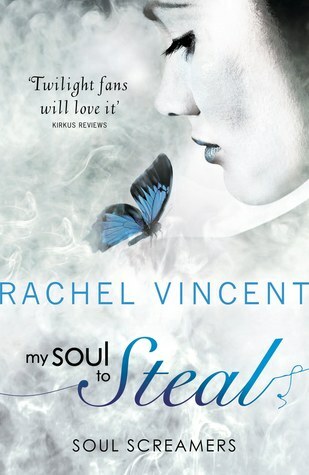 My Soul to Steal by Rachel Vincent – I’ll be hosting Rachel on the blog later this week. Keep your eyes peeled for an interview! In short, a great week. I’d say the books I am most looking forward to reading are My Soul to Steal, Divergent and Mind Games. 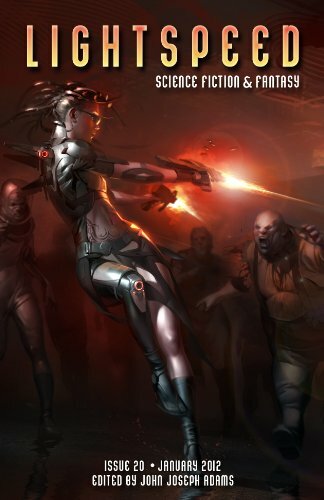 Arcadia Awakens by Kai Meyer – I really can’t wait to start this book. The whole supernatural mafioso thing just makes me want to dig in! India Dark by Kirsty Murray – Aussie author!! 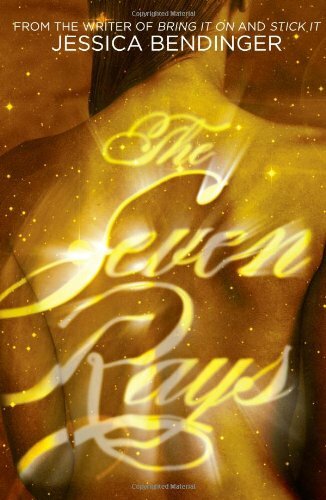 Fins are Forever by Tera Lynn Childs – This is the sequel to Forgive my Fins. Pretty good so far. Matched by Ally Condie – I’m reading this in preparation for Ally’s blog tour. Very good so far! C’est tout! What was in you mailbox? I had an EPIC week. 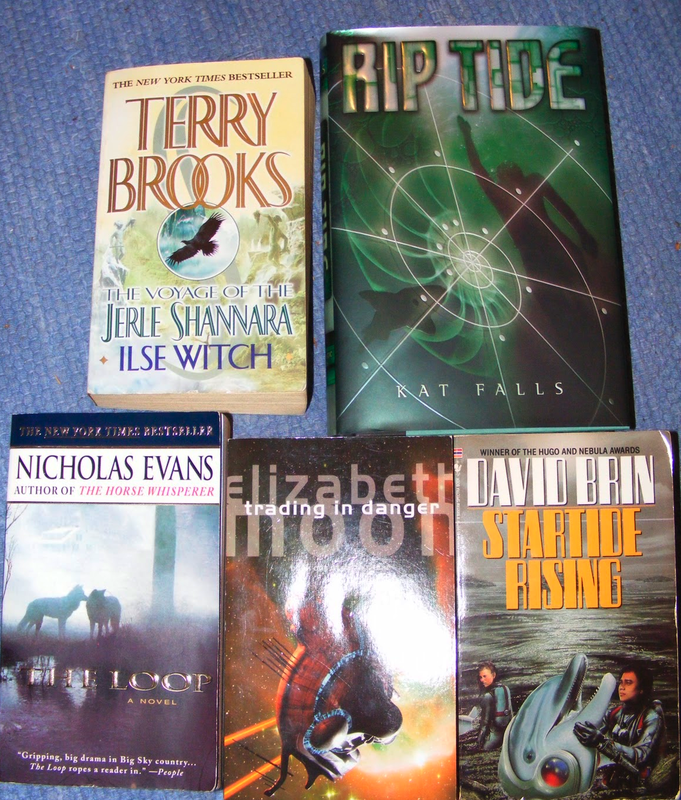 For starters, I finally got to pick up some post which had been mounting up – I received a bunch of books for review that I honestly wasn’t expecting! Then I hit the bookstores: Foyles and Forbidden Planet (BTW, apparently they do 10% student discounts… who knew?) didn’t even see me coming! It has been a long while since I’ve let myself loose at a bookstore! Rampant by Diana Peterfreund – Killer unicorns!! Tempest Rising by Nicole Peeler – Signed! 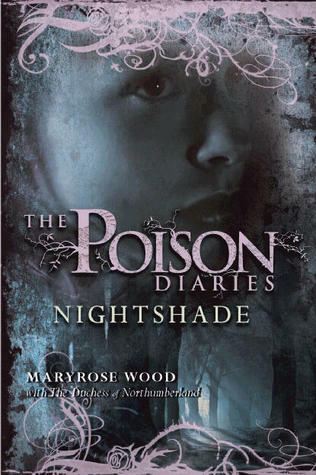 UK edition! Awesome! Pegasus by Robin McKinley – Signed! Gorgeousness! Heist Society by Ally Carter – Signed! Adorableness! 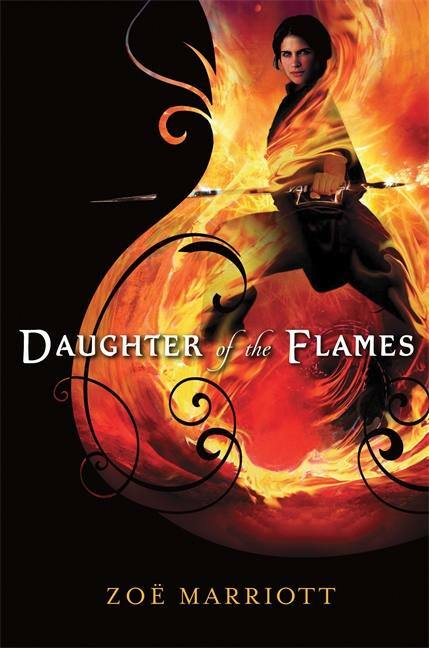 Firelight by Sophie Jordan – I got this at half price at Forbidden Planet – yay. Federations: Anthology edited by John Joseph Adams – This is a great sci-fi anthology based around Star Trek-type Federations. Right up my alley. Esperanza by Trish J. MacGregor – I featured this on a WoW post a bazillion years ago and seeing it in real life? So exciting. Enthralled: Paranormal Diversions – Anthology edited by Kelley Armstrong and Melissa Marr – OMG this includes a Darkest Powers story. CAN. NOT. WAIT. Mist by Kathryn James – This cover is just stunning. It’s shiny and multicoloured and fab! 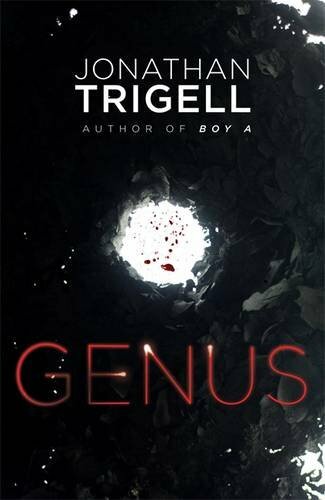 Vampire Academy by Richelle Mead – The graphic novel! It’s gorgeous! The Rift Walker by Clay and Susan Griffith – This is supposed to be a fantastic series and I can’t wait to start it! Liesl & Po by Lauren Oliver – This is the gorgeous hardcover… it really is stunning in real life. 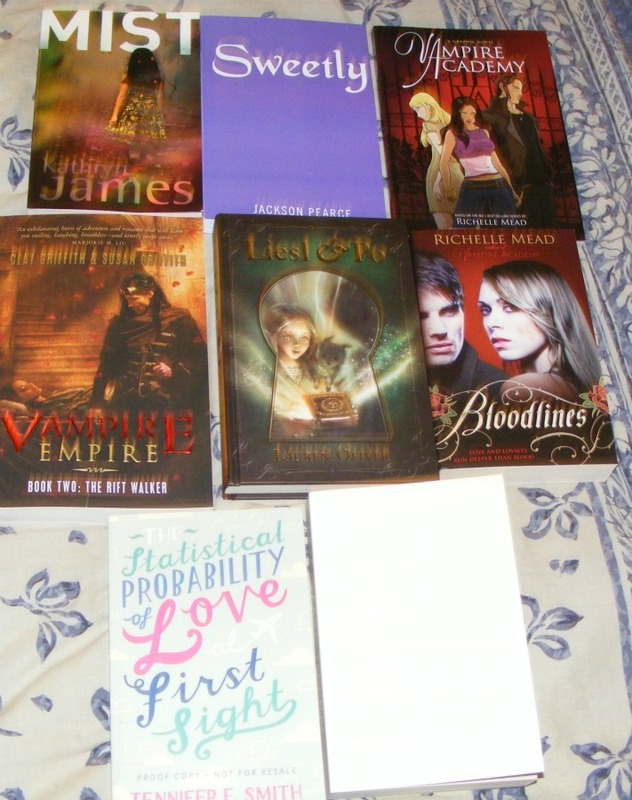 Bloodlines by Richelle Mead – Yay! The new Richelle series! The Statistical Probability of Love at First Sight by Jennifer E. Smith – This was adorably packaged and I really really cannot wait to read this! 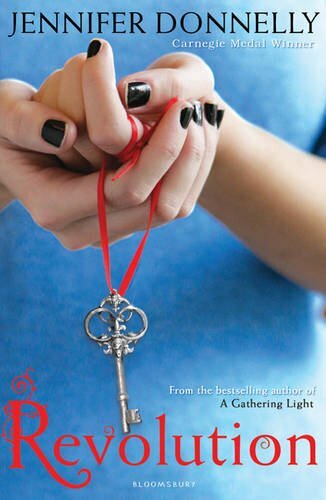 Pure by Julianna Baggott – I am reading this right now and absolutely adore it. Love Love LOVE. Among Thieves by Douglas Hulick – Preeeetty cover (and, hopefully, an awesome book)! Stealing Pheonix by Joss Stirling – Joss is supposed to be absolutely brilliant, so I am really looking forward to it! Glow by Amy Kathleen Ryan – I’m not so keen on the UK cover, but absolutely cannot wait to read this! Beautiful Days by Anna Godbersen – For Review! This is in Anna’s 1920s YA series. I also have two lovely signed copies of Daughter of Smoke and Bone by Laini Taylor (thank you Hodder for giving me a chance to meet her!). And…. I will be giving one away! I’ll be posting more details about the competition asap. In the mean time, take a look at their shiny, gorgeousness! *wipes brow* Well, that was exhausting but satisfying. I’m looking forward to seeing what you got in your mailbox! So, I got booooooks this week. Finally! 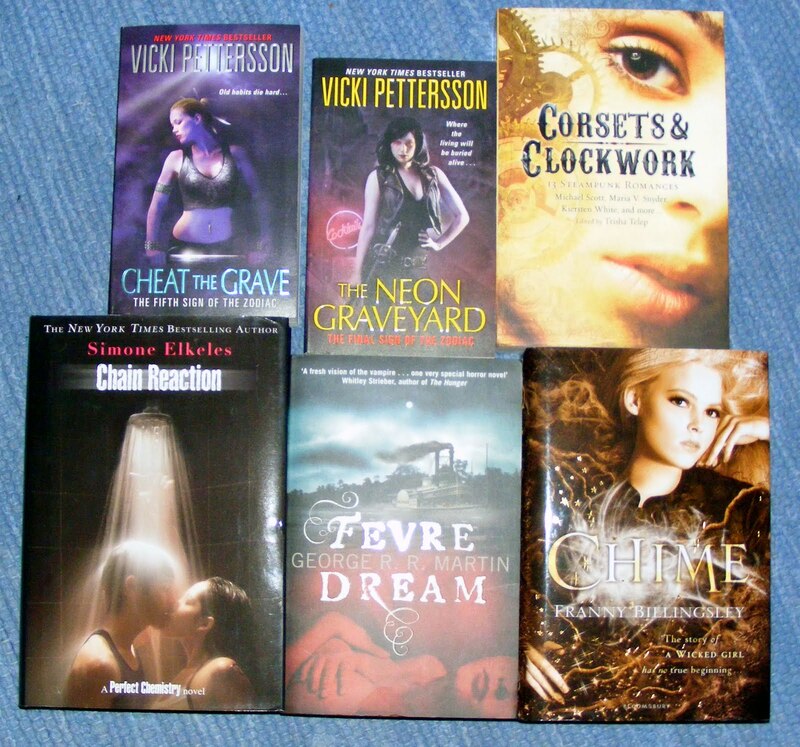 Cheat the Grave and The Neon Graveyard by Vicki Pettersson – These are the final two books in the Zodiac series – and I’m afraid I had to go out and get the horrid US covers. I would have gotten the UK ones… if they existed. Corsets and Clockwork: 13 Steampunk Romances (Trisha Telep) – OK, yes this editor has gotten a whole lot of heat lately. And I completely and utterly understand (and agree) with that. But this anthology features a bunch of my very favourite authors (including some that pulled out of other anthologies because of Telep), so they are the ones I am reading for. I’m talking about Ann Aguirre, Maria V. Snyder, and Caitlin Kittredge (among others, of course). Chain Reaction by Simone Elkeles – WHOOT! Fevre Dream by George R.R. 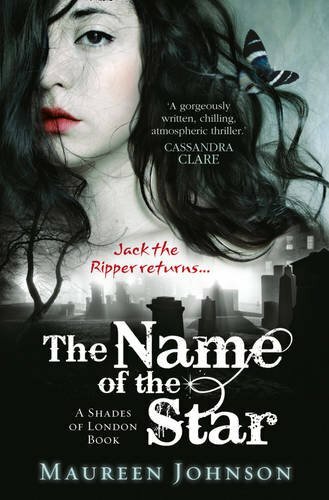 Martin – This is a vampire novel written by a living legend in fantasy… and it is set on a riverboat. What more can you possibly ask for? Chime by Franny Billingsley – When I had first heard about this book, I hadn’t been at all interested. Not only little bit. And then my twitter lit up with comments about it (then amazon had it on sale for £3.50), and suddenly I found myself looking forward to getting my hands on it. And that’s all! What did you get in your mailbox?